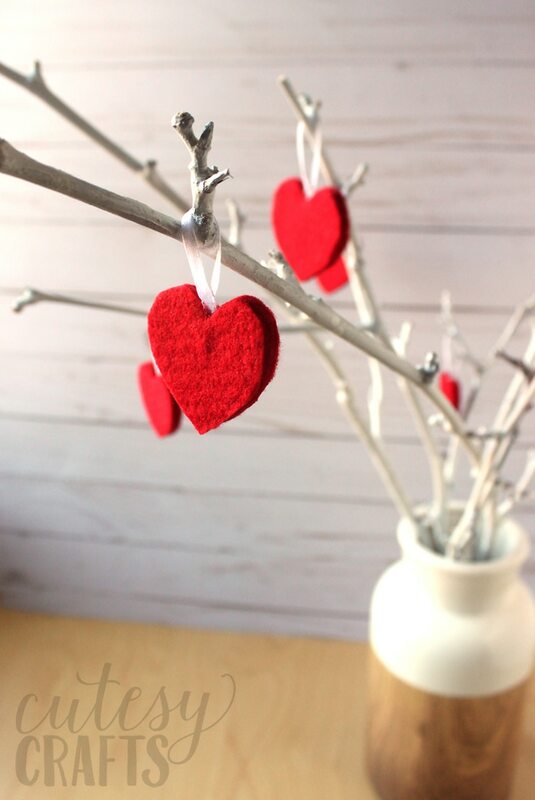 I had big plans last year to make a little Valentine’s Day “tree.” I finally got around to spray painting some branches white, and then ran out of time to make ornaments for them. 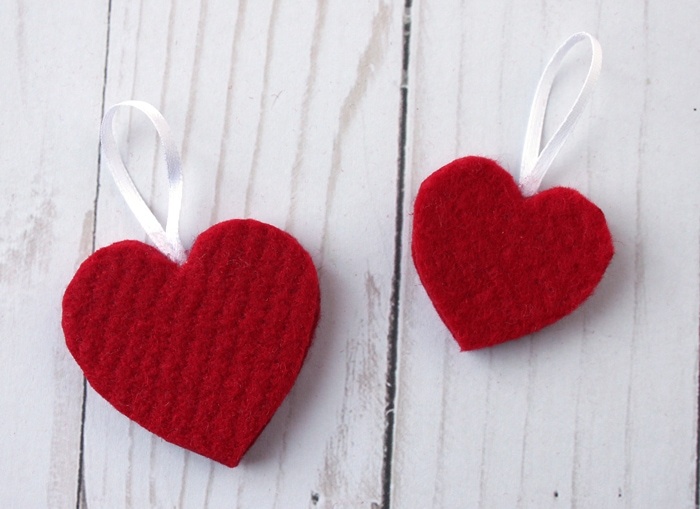 I made some quick felt heart valentine ornaments, and I really like how they turned out. I plan on making more, but this is a nice start. 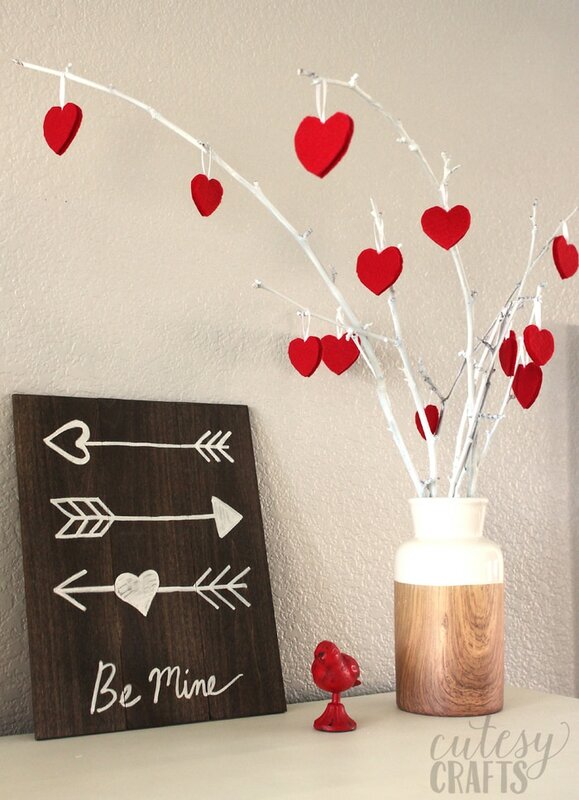 They look really pretty on top of my piano with my other Valentine’s Day decor. I wanted to try using this designer felt that is probably close to a 1/4-inch thick. 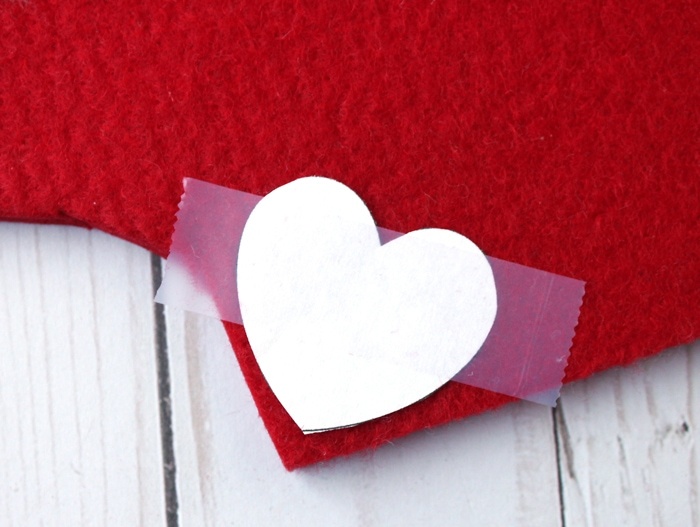 It was pretty difficult to cut, so you can always just use two thinner pieces of felt and glue the ribbon in the middle. I like how this thicker felt ended up looking though. 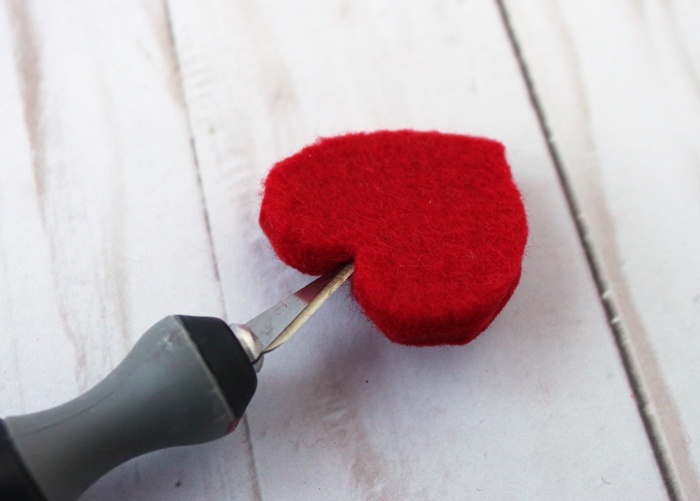 Cut our your heart template and tape it to the felt. I made two sizes. 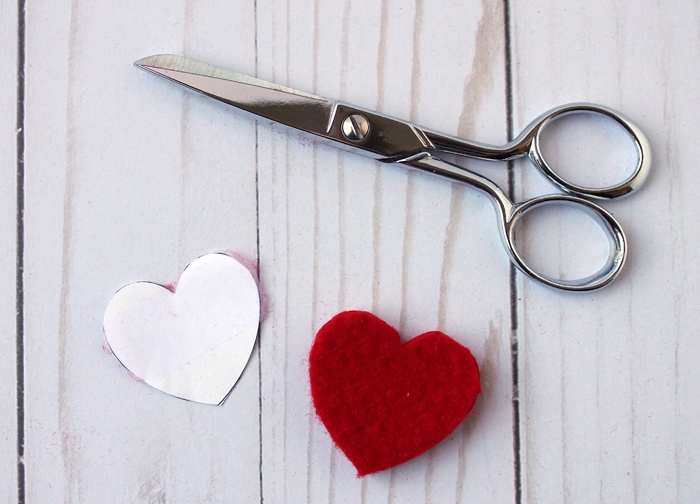 Use sharp scissors to cut around the heart. Do your best to make the edges smooth. 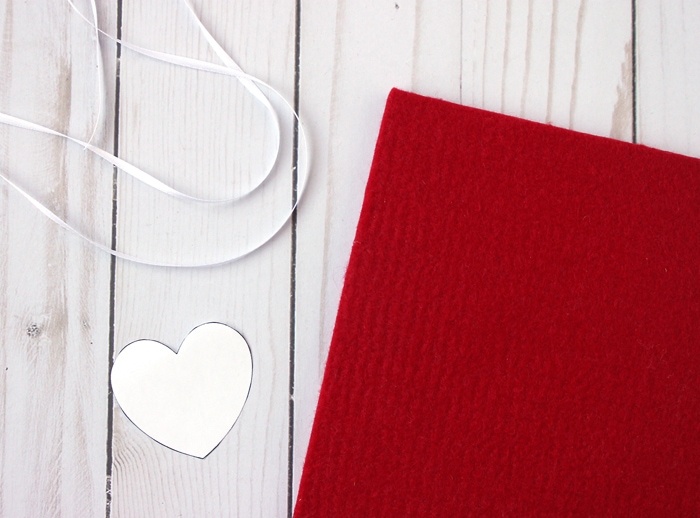 Use an x-acto knife to cut a slit in the top of the heart. 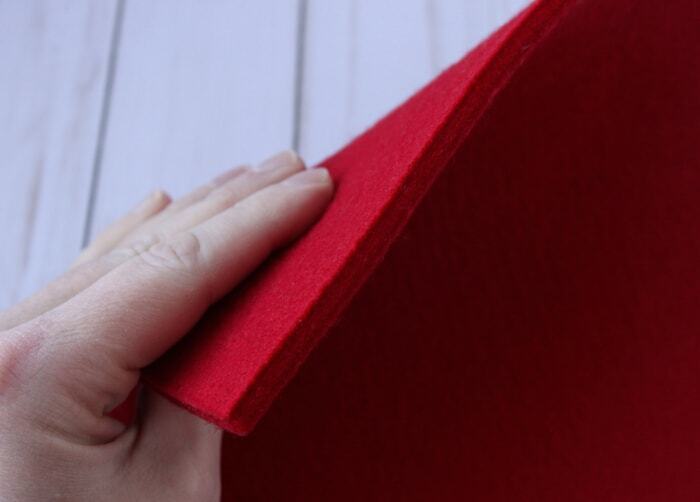 If you are using two thinner pieces of felt, you won’t do this. Just glue the ribbon in between the two pieces. 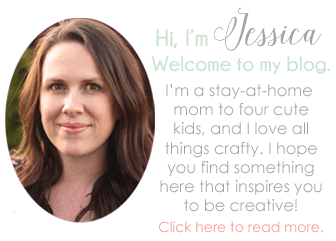 Cut your ribbon to be 4 inches long. 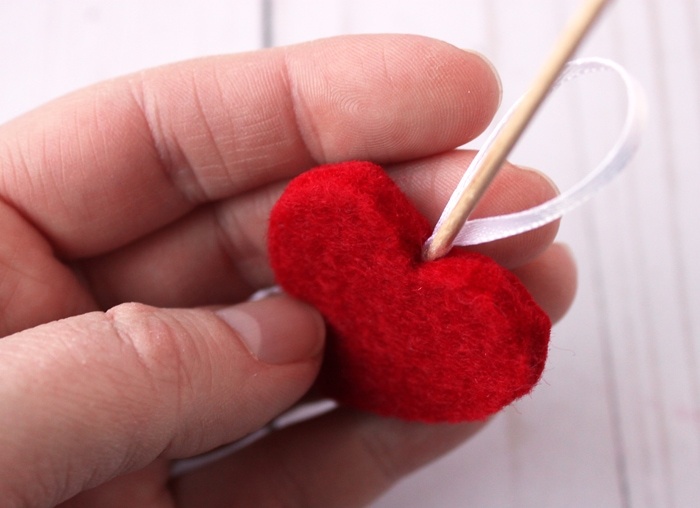 Use a toothpick to push the ends of the ribbon into the slit. Put a very small amount of hot glue on the bottom of the toothpick and push that into the slit as well. Pull the toothpick out and pinch the slit closed. 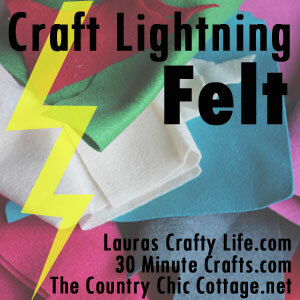 I posted this as part of Craft Lightning, felt edition. 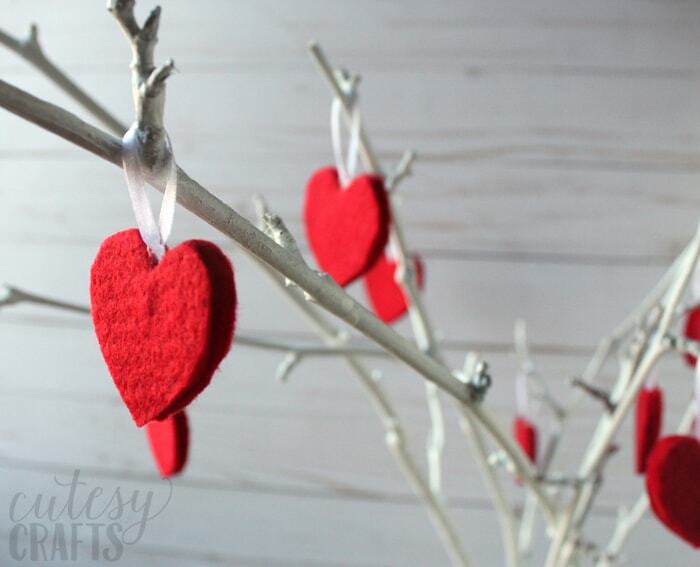 For more quick felt crafts, click the image below. Such a great idea! Thanks for joining! Thanks for putting it together Angie!